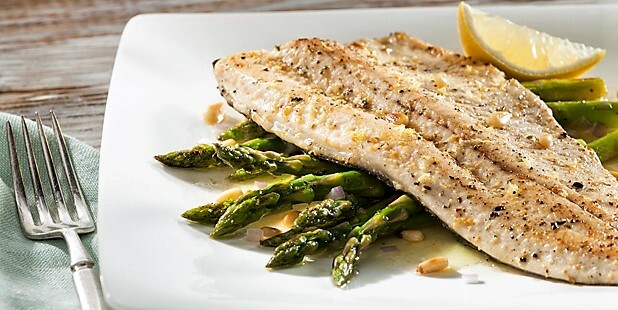 Trout are a healthy and delicious fish to eat. Their mild flavor and flaky texture make for wonderful meals. Often, chefs do too much to the trout by Blackening, frying, baking, and adding loads of ingredients that aren’t needed. Folks often say they do not like trout when in fact, they may have never tasted the mild flavor of just trout. Broil your filets for simple and tasty results. Use filets with the skin on, so the fish holds together. This will also work on grills or smokers, it just takes way longer. Spray the filets with olive oil and lay them onto a foil covered broiler pan. Sprinkle the filet with your favorite simple spice combo. It may just be salt and pepper. Others enjoy a Lemon Pepper blend. At my house, we love the seafood flavor of Old Bay seasoning. Broil the filets until golden brown. This will take several minutes, depending upon the thickness and sizes of the filets. Once done, serve with some fresh veggies, bread, and sides. Sauces really can compliment the broiled trout filets. Tartar sauce is the most traditional choice and is easily made. Use fresh herbs and ingredients when you can. This is where a true chef shine. Mustard, yogurt, lemon butter, creamy dill sauces are just a few examples. Use the flavored sauce you prefer. Make the sauces thin enough to squirt out of a pointed condiment squeeze bottle. This way you can add sauce in a unique and special design. For more Montana Grant, hook up at www.montanagrantfishing.com.